Welcome to Vitagliano Orthodontics, a patient-centered and family-friendly practice, where our focus is on creating healthy, straight teeth and beautiful smiles for each of our patients. When you’re with us, you’re our top priority, and we’ll do everything in our power to ensure that every visit to our office is positive. Our orthodontists, Dr. Joseph Vitagliano, Dr. Pasquale Vitagliano, Dr. Joseph Salierno, and Dr. Leah Normatova, and each member of our team, are dedicated to delivering personalized care, including custom treatment plans, based on each patient’s unique clinical requirements, timeline, and desired outcome. We understand that every person who comes to us for care has different reasons for seeking treatment, and we work to understand those reasons before determining a treatment path. Your first visit to our practice will be for your complimentary consultation, during which you’ll come in, meet our team, tour our facility, and have a clinical exam. Based on that information we’ll develop a treatment plan, including options for helping you reach your goals, and then review the information with you. We’ll provide you with the knowledge to be an advocate for your oral health. We want you to be involved in the decision-making process: this is your oral health and your smile. Once you’ve started your orthodontic treatment, we will always be here for you. We believe in open communication between you and us, and want you to feel comfortable coming to us with questions or concerns. We will always be honest in our response and do our best to correct any issues immediately. We believe you should have easy access to your orthodontic care, so we offer flexible appointment hours, including early mornings and evenings, so you can come in when it works best for you, whether that’s before work or school or after your daytime commitments. Ours is a fun, positive practice, and we strive to keep it that way. We are committed to delivering exceptional care in a great environment, where patients know how much we appreciate them. There’s a lot of laughter and smiles at our office, from our staff and our patients alike. 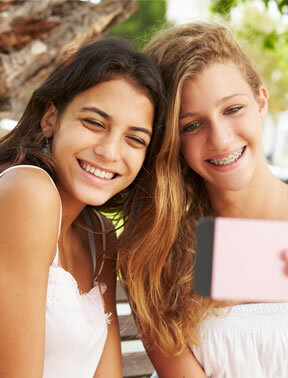 For more information about the smile-creating care offered at Vitagliano Orthodontics, and to schedule a complimentary consultation for yourself or a loved one, please contact our Massapequa or West Islip, NY offices. We welcome patients from throughout Long Island, and Nassau and Suffolk counties.